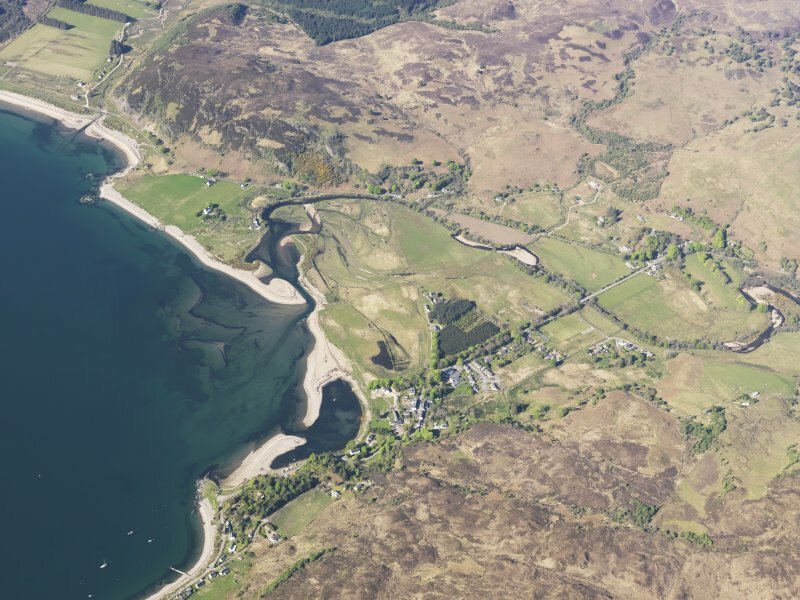 General oblique aerial view of Eilanreach and Glenelg looking ESE. 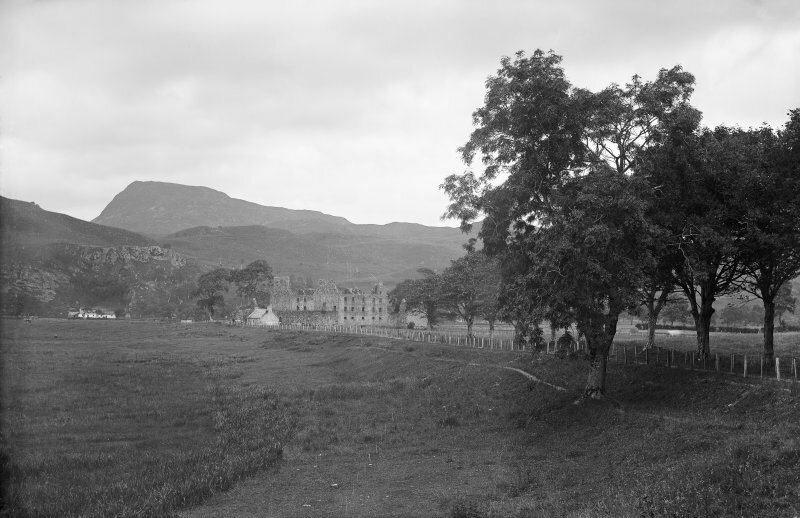 Bernera Barracks. General view of barracks. 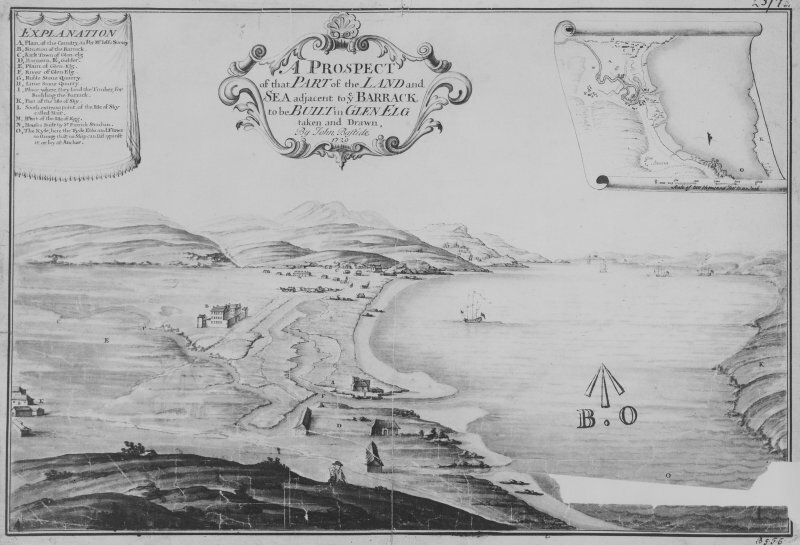 Bernera Barracks Drawing showing perspective view of general site with explanation, titled: 'A Prospect of the Part of the Land and Sea adjacent to y Barrack to be Built in Glen Elg. taken and Drawn By John Bastide'. 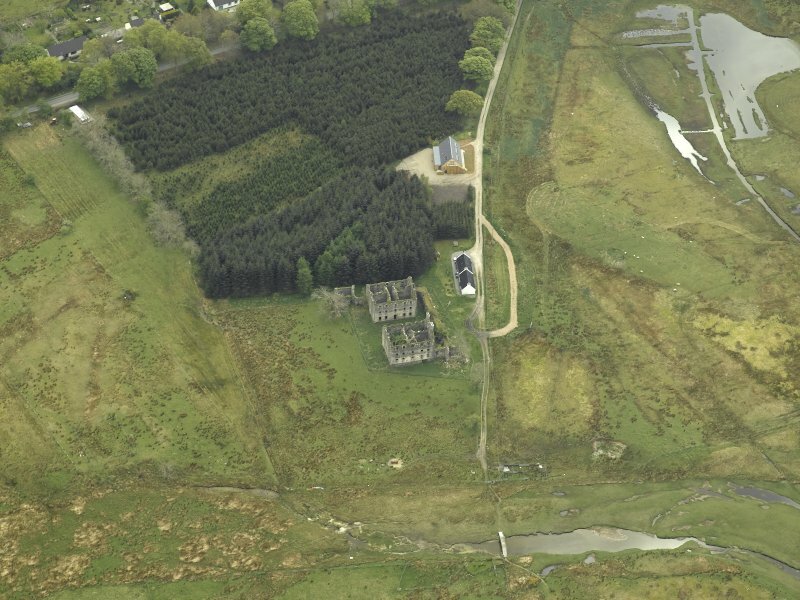 Oblique aerial view centred on the ruins of the barracks, taken from the SSW. 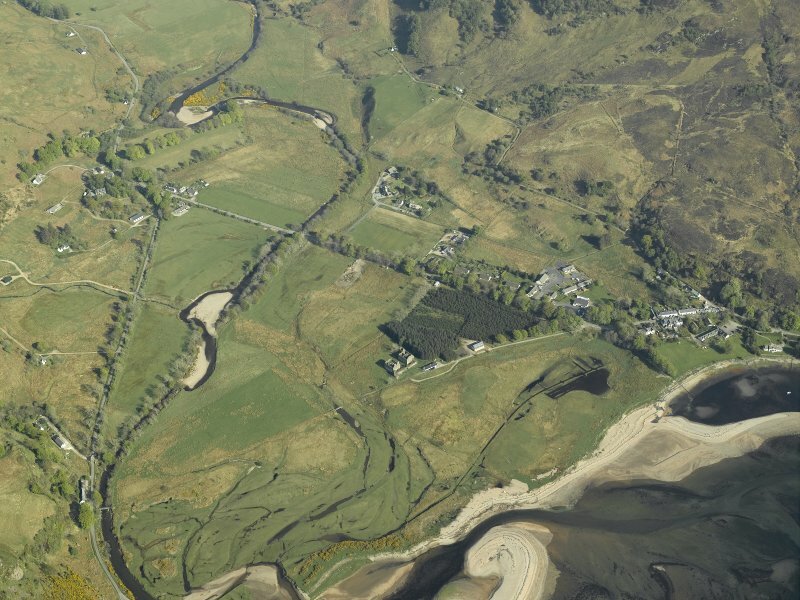 Oblique aerial view centred on the ruins of the barracks, taken from the N.
General oblique aerial view of the remains of Bernera Barracks near Glenelg, taken from the S.
General oblique aerial view of Glenelg, looking E.
Oblique aerial view centred on the ruins of the barracks, taken from the NNW. 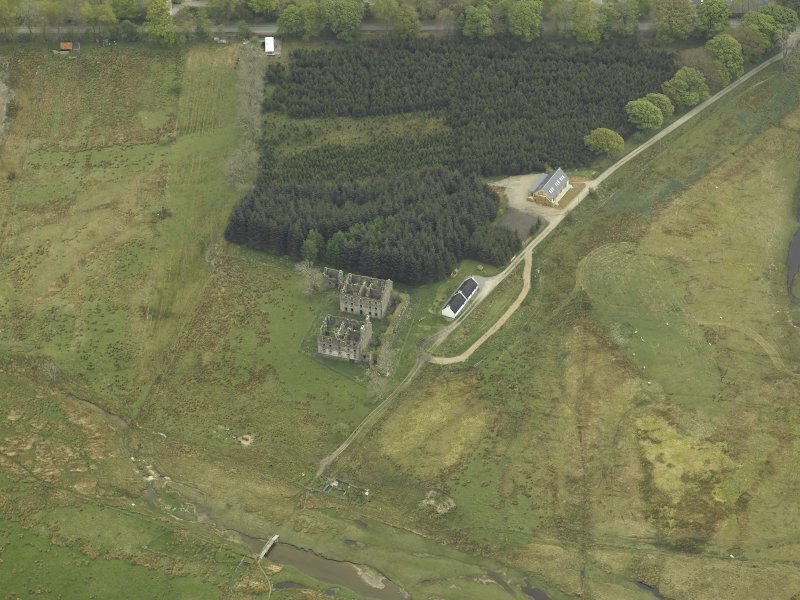 General oblique aerial view looking towards Glen More centred on the remains of the Barracks and the adjacent modern village, taken from the W.
Oblique aerial view centred on the remains of the Barracks and the adjacent modern village, taken from the NW. 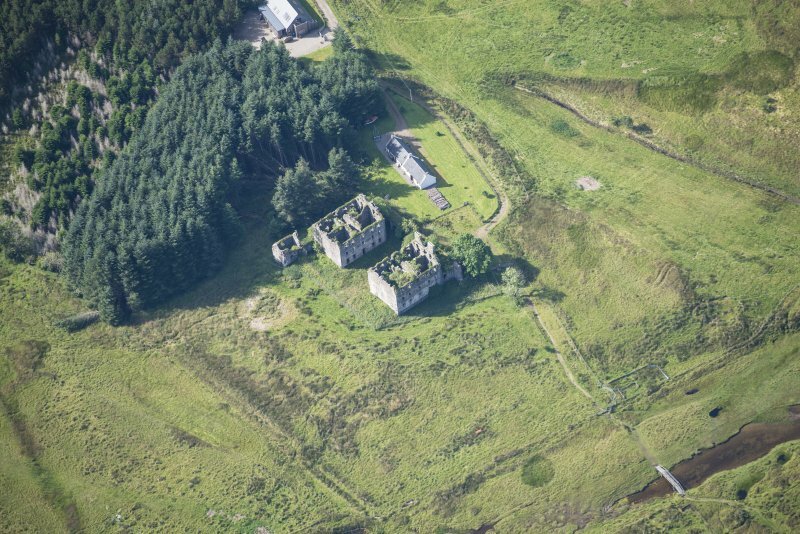 Bernera Barracks, 1719-23, James Smith and/or his successors Andrew Jelfe and John Lambertus Romer; contractor Sir Patrick Strachan. The last of the four Highland forts built by the government at strategic points across the Highlands. This one, to guard the Skye crossing, languishes at the end of a tree-lined track on the boggy estuary of the Glenmore River. Incorporating stones plundered from the Glenelg brochs, it remains an impressive sight today, even though its two harled blocks - twin-gabled and rising to three and a half storeys each side of a courtyard - are reduced to pierced rubble shells, Bernera incorporates some notable modifications to the standard design: here, as at Fort Augustus ('Kiliwhimen'), the tenement-plan accommodation was doubled by building the five-bay blocks to a double-pile plan, each capable of accommodating two companies (120 men) in 12 almost square fire-lit rooms, each with five double beds. 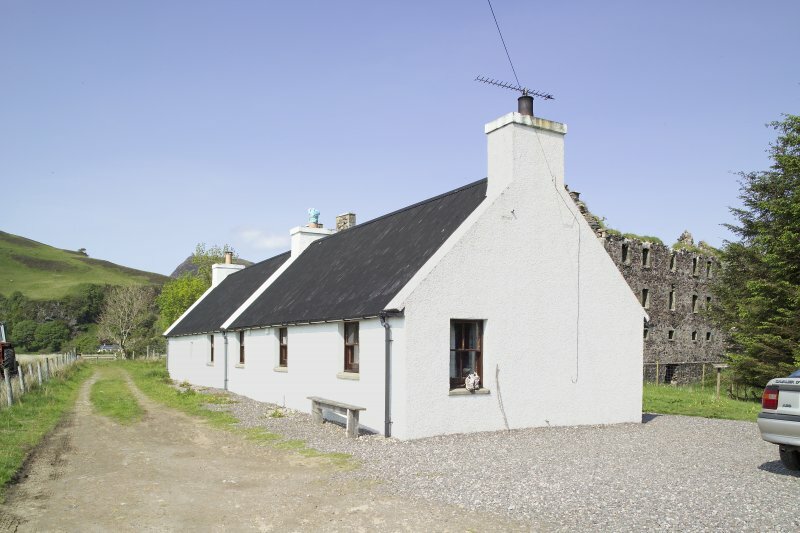 Built to accommodate regular garrisons patrolling potential nests of insurrection after the Jacobite risings of the early 1700s, Bernera was conceived as more of a deterrent than a major military base. Its parapetted curtain walls, incorporating the outer face of each barrack block in one large rectangular enclosure, had limited defensive features. Provision of towers was limited to just two at opposite corners, these appearing rather domestic in character, as indeed they were in function (bake and brew houses, guardrooms and officers' quarters). Though modest, the degree of architectural refinement was greater here than at the other forts; the archway in the west wall was decorated, and the windows all have keystoned segmental-arches and smooth ashlar dressings. The rugged roofline retains one ovolo moulded skewputt and two coped chimney stacks, but many other freestone dressings have been robbed. Bernera's role during the '45 was not a vigorous one and its status as a military force in the area became increasingly low key. Indeed, in 1750, (?) Lang wrote that 'the People are Protestants and are much Civiliz'd and Polished by the Barracks of Bernera'. By 1795 the fort had succumbed to dereliction, with only a sargeant or corporal and a few privates billeted in the still habitable officers' quarters. Military occupation continued until 1797, after which the increasingly ruinous structure was utilised by the poor and, later, by victims of the Clearances. M E M Donaldson 1923; S Cruden 1960. As planned by the Board of Ordnance (plan no Z3/6a) except that the Guard House should be on the NW corner and the beer and bakehouse should be on the SE corner. In ruinous condition. Visited by OS (R L) 5 October 1966. 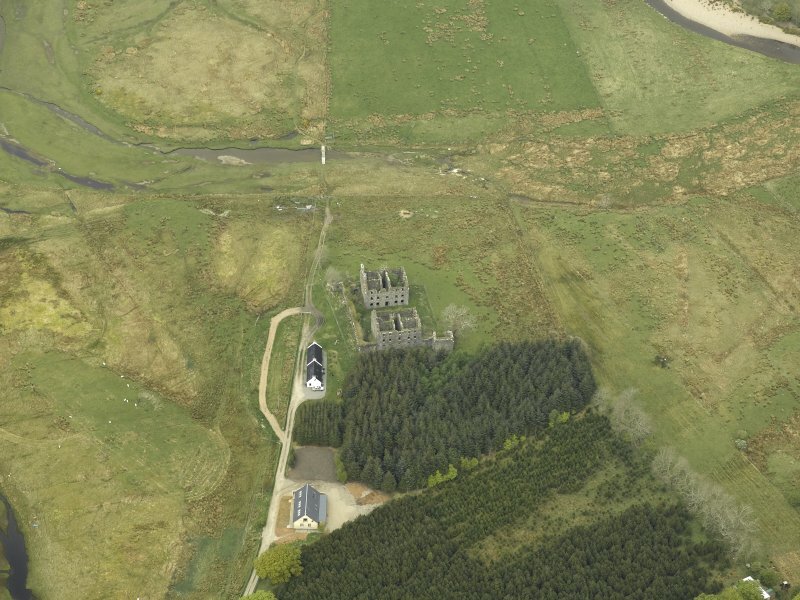 Bernera Barracks incorporate some interesting deviations from the design drawings, the most noticeable being the erection of angle towers at opposite corners to where they were intended to be. Neither the land surface nor soil conditions offer reasons for these alterations. Stood in the Parish occupying the North West corner of Inverness-shire, and on the mainland. 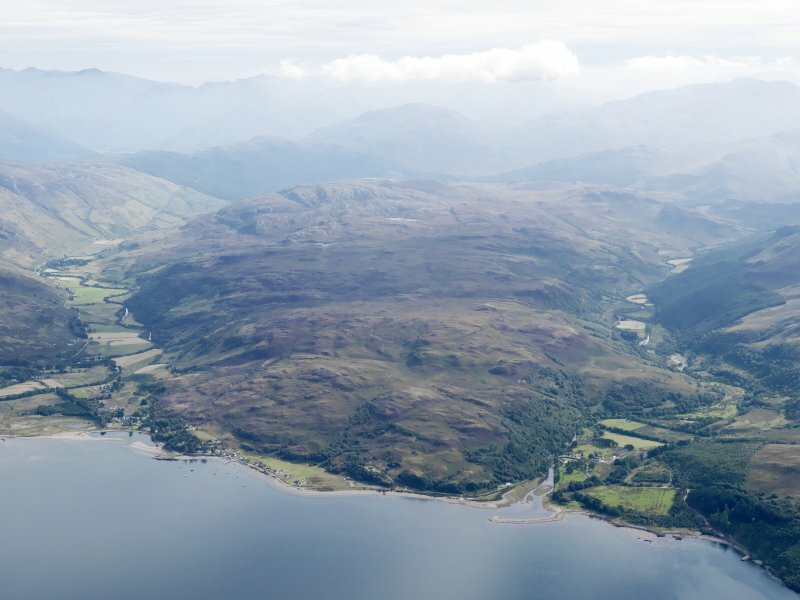 Groome's Ordnance Gazetteer (edition 1901) describes Glenelg as a coast village and parish at the head of the Sleat Sound, and record that 'the fortified Barrack there was erected in 1722 at Bernera, near Glenelg Village, was commonly occupied by one or two companies of Infantry till 1745, and is now a ruin'. Z3/6	1719	'Plan of the Fort Barrack of Bernera in Glen Elg, 1719' with References. Scale about 350 feet to an Inch. 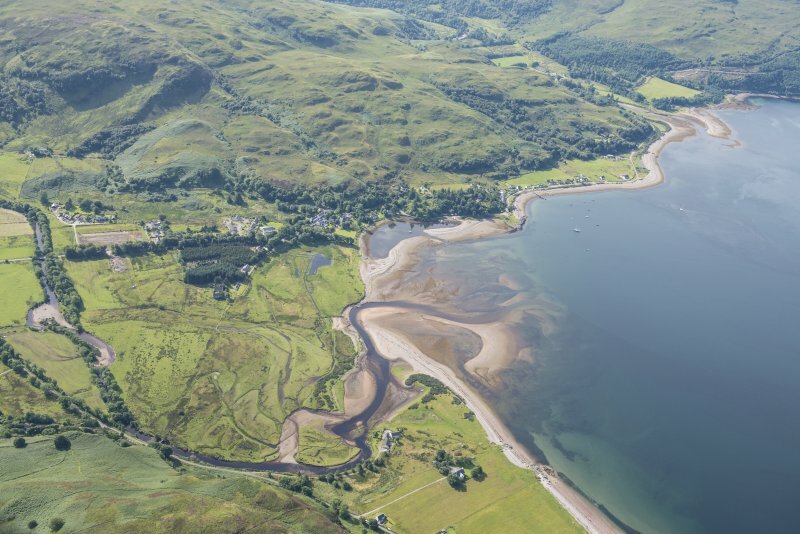 shewing land to be purchased on the verge of the sea between the Isle of Skye and Glen Elg. This is actually a map of the area and of the adjacent country. Z 3/6	no date	'A small engraving of Fort Barrack, Bernera'. Z 3/5	no date	'Fort Barrack, Bernera, in Glen Elg'. Plan, Section and Elevations. Scale 10 feet to an Inch. There is no date, but there are two copies, one of which, copied by Fras. Gould, bears the later date of 1763. Z 3/18	no date	Small scale Plans, Sections, and Elevations of the four Barracks of Killewhiman, Inversnait, Ruthven of Badenoch, and Bernera, with Explanations. Scale 30 Feet to an Inch. There are copies. This Drawing is also indexed under all the names mentioned besides Bernera. Non-Guardianship Sites Plan Collection, DC23083- DC230087. 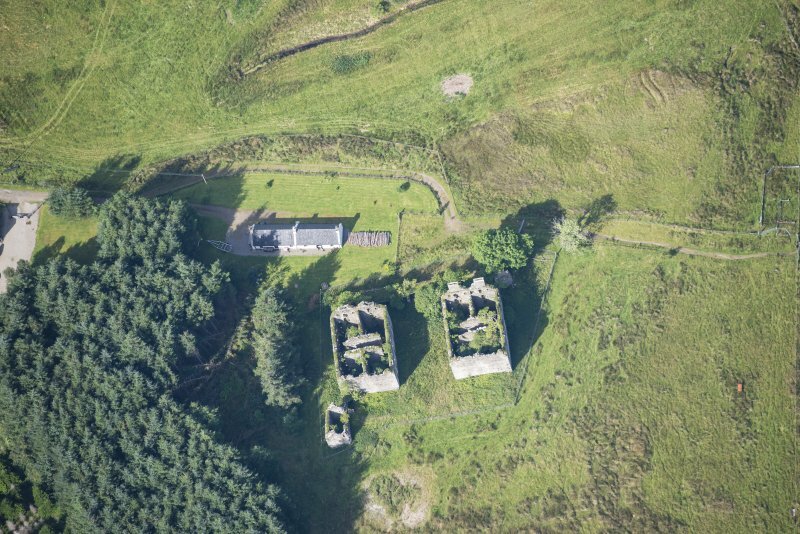 Bernera Barracks, like Ruthven, was one of the four barracks built after the '45, its main purpose being to control the narrow crossing from the mainland to Kylerhea on the Isle of Skye. 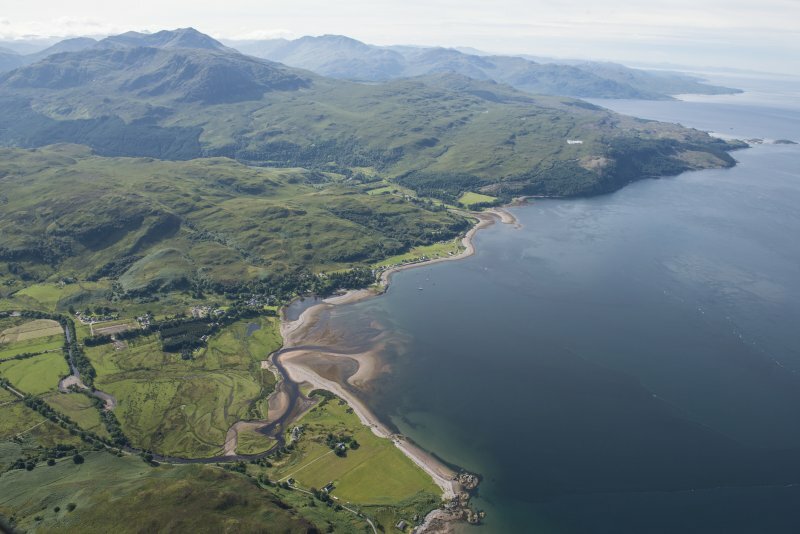 Bigger than Ruthven, the barracks is now more ruinous, and it stands in splendid isolation on the flat plain at the mouth of Glenelg looking across to Skye. The design is similar to Ruthven (no. 41) except that the barracks are double blocks with a chimney in each gable, with four rooms on each floor instead to two, making a total of 24 rooms in all. There are also windows facing outwards as well as inwards over the parade ground, the outer windows having been protected by iron bars. The barracks thus had accommodation for over 200 men. 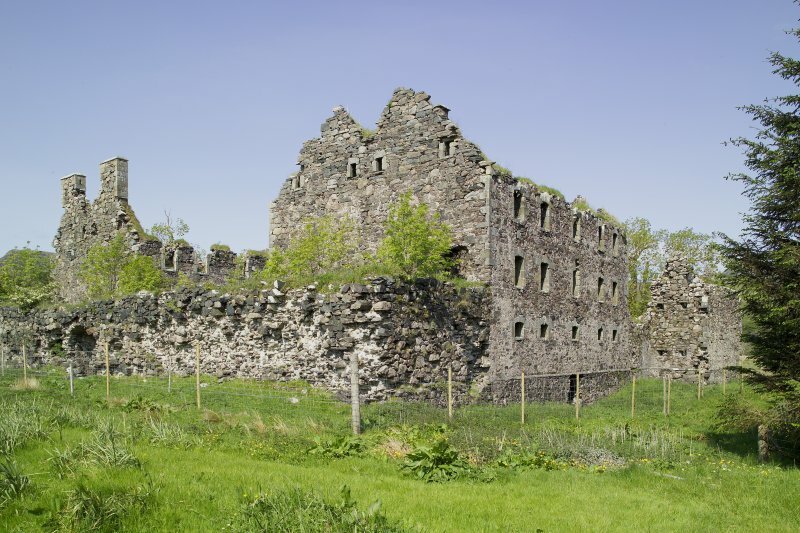 The angle towers served for guardhouse and brew-and bake-house, rather than protecting the main hall with enfilading fire as their projecting position would have allowed. The entrance to each angle tower was protected by a pistol-loop built into the wall of the adjoining vaulted chamber. Some slight decorative detail was used at Bernera, unlike the other three barracks; thus dressed stone was used for the corners of the buildings and the chimney stacks, and all round the windows and doors, and there were also dressed mouldings round the arched head to the main doorway in the enclosure wall, now fallen. Like Ruthven, Bernera has open-ended vaults round the perimeter wall, again provided only with small gun-loops for use by infantry with muskets. Before 1745 Bernera regul arly housed one or two companies of infantry. Thereafter the garrison was reduced and in the later 18th century- was often only a few soldiers under the command of a sergeant or corporal. 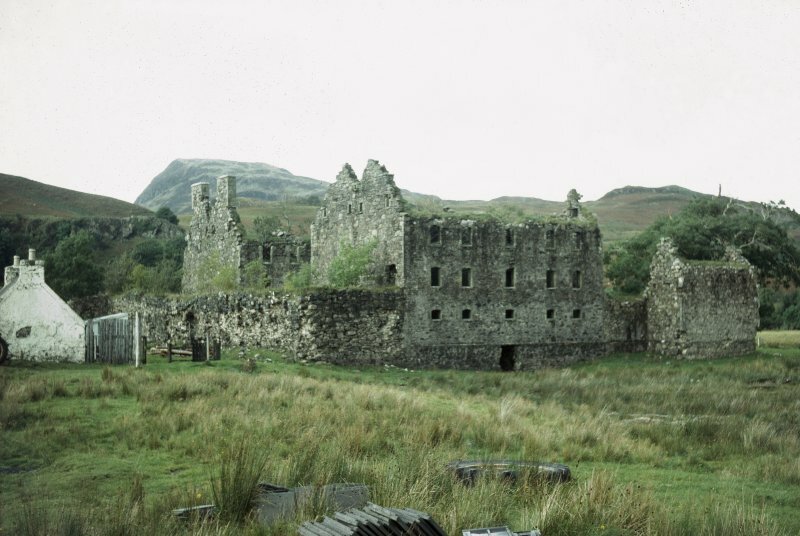 Johnson and Boswell rode past in 1773 on their way to take the ferry to Skye, and Boswell recorded 'As we passed the barracks at Bernera Iooked at them wistfully, as soldiers always have every thing in the best order, but there was only a serjeant and a few men there'. The military garrison was finally withdrawn in about 1800. 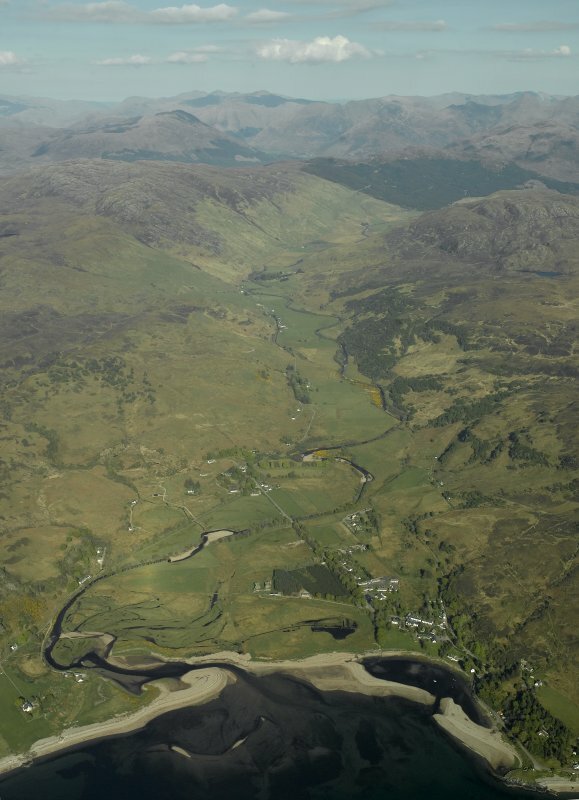 The present road from Shiel Bridge over Ratagan to Glenelg follows the line of the old military road from Fort Augustus built by Major Caulfield in the 1750s, and rebuilt by Telford. 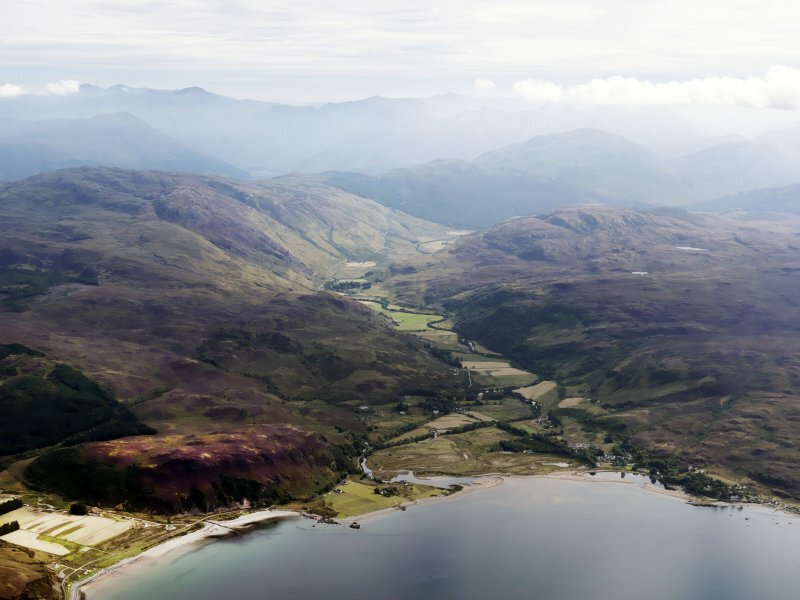 Earlier it was a drove route from Skye to Falkirk.